Starting a home based business – Everyone wants to know what it requires to start a business from the convenience of there home, at least that was going through my mind initially before i started. Do you want to startup your own business from the convenience of your home? Do you ask yourself what are the ups and down of this business? How do you want to go about the process? How can i build my business and take it to an international scale? What will it take? Do you want answers, let me advice you as you read this article. Alot of people are not sure and feel uneasy about the idea of starting a home based business. And this unease can be understood due to the percentage of people whose business have crashed in their first five years of creation based on research. So are you thinking of going into a home based business proper? Keep reading……….. There are individuals who have successfully created home based businesses, yes, there are individuals who are successful and turning over millions on a steady basis which includes nigerians such as the creator of jobberman.com. Do you now see why home based business is not only comforting but also rewarding. There are processes or guides to take as to start an home based business successfully. 1. Map out the section of your house you intend to use for your business. The first step is for one to know the area in which you want to use for your business inorder to avoid unwanted personnels from interferring with your business. It could be in your spare room, garage, library, kitchen depending on the type of business in which you are intending and if the equipments are readily available. One needs to know when they would have time for their business, there are options of full time and part time. The hours in which you put into the business would also determine the success of the business, therefore it has to be scheduled. You have to determine the number of hours you want to pit into a business weekly or monthly. This is a very important decision, because you have to know what type of business in which you want to start. Do you want to go into selling of information products and services? Do you want to go into catering business? Or even event management? You can achieve this decisions by listing things which are your hobbies, or you simply find pleasure at and good in. This is carrying out a research about ones environment, this environment refers to the business environment target market, competition, availability of raw materials and so on. SWOT analysis is a common analysis used in carrying out research in businesses. This simply means Strengths, Weaknesses, Opportunities and Threats. The first two are internal qnd have to do with tou as the individual or business you are about to create and the second two are external factors that tje business has no control over. What is startup capital? this can be said as funds or money inwhich you use to create your business. How do you intend on raising enough money to take care of the cost in which you acquire while starting up, a bank loan can be gotten, in case of partnership whereby not only is investing capital, or from your prlersonal savings. 7. Pick a good name for your business and register it. When slecting or creating a name for your business, take a name thatvis unique, trendy and best describes the business. After a name as been selected its best to register it as to give the business sole rights to the name. 8. 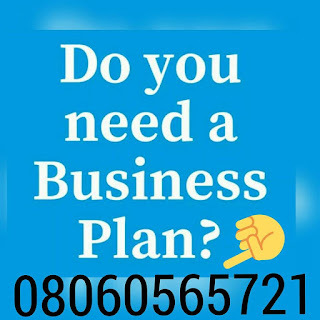 It is important for you to create a business plan. This is a very important documents which gives you direction on step to step procedures and gives a detailed prescription on what the business is about, how to go plan for the fundings. It includes the mission statement, vision statement of the business, operational plan, strategic plan and financial plan of the business. 9. Obtain relevant licenses and permits for your business. Its important to create an identifiable trademark for your home based business. This is the process of packaging your business in a way as for it to appeal to your target market. In this case the colours and every detail used to design the business should be carefully thought about. For any business to succeed there needs to be a means in which transactions can occur between the service or product provider ( business) and the end consumer. Businesses can open accounts on paypal which would be linked directly to a bank account. This simply means keeping records of receipt and transactions, important documents in which you use for business transactions. This helps you gauge your expenses and gains at the end of every month or quarter or year.